The HTC technologies, The Taiwan based handset manufacturer, is going to launch the new HTC Inspire 4G mobile in the mobile market this year. It will be running on the Android 2.2 Froyo operating system that has a HTC sense. The HTC is going to launch yet another product- HTC Freestyle which is considered to be the younger sibling of HTC Inspire. It is going to be launched soon by AT & T. HTC Inspire will have the features like auto focus LED flash 8 mega pixel camera. It also has the benefit of 4.3inch WVGA super LCD touch screen that makes it look well advanced in its form and segment. 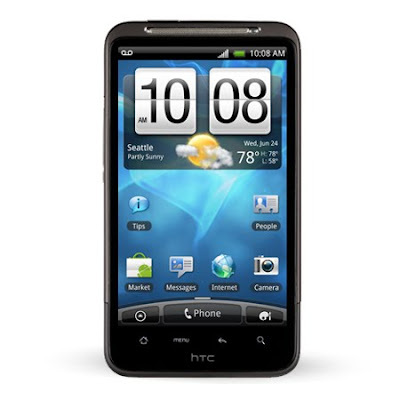 The mobile HTC Inspire is a 4G mobile which is enabled with both 4G and 3G network. It has a network compatibility of WCDMA/ HSPA and 850/ 1900 MHz, GSM/EDGE 850/900/1800/ 1900 MHz with Bluetooth connectivity of 2.1 that has a A2DP stereo, wi fi -802.11 b/g/n and DLNA. All these features make this device look more advanced. It has a dimension of 4.8 lengths with 2.7 as its width and 0.46 thicknesses. It has a maximum weight of the 5.78 ounces with a battery. More over it is loaded with all the music features like FM Radio, MP3, MP4 player and audio jack and a 1230 mAh li-ion battery. The battery provides good talk time and standby time. The customers can store their maximum data in their HTC Inspire 4G mobile set is going to be loaded with 768 MB RAM and 4 GB internal memory. It is going to include micro SD card of 8 GB. And its memory is so expandable that it can extend itself by using a large capacity micro SD card. 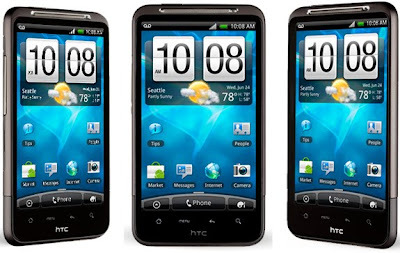 The HTC technologies has not yet announced the exact date for its launch of its smartphone HTC Inspire 4G. But it is expected to be launched in the next month, Feb. 2011. This is considered to be another smartphone with rich features which has enabled with 4G, likely to be launches very soon in the market with the features like Navigator, music and radio. The price for this device has been not yet announced but it is going to be announced with a competitive price tag that is comparable with the other 4G handsets.